MobilizeAmerica uses a Passwordless entry system. 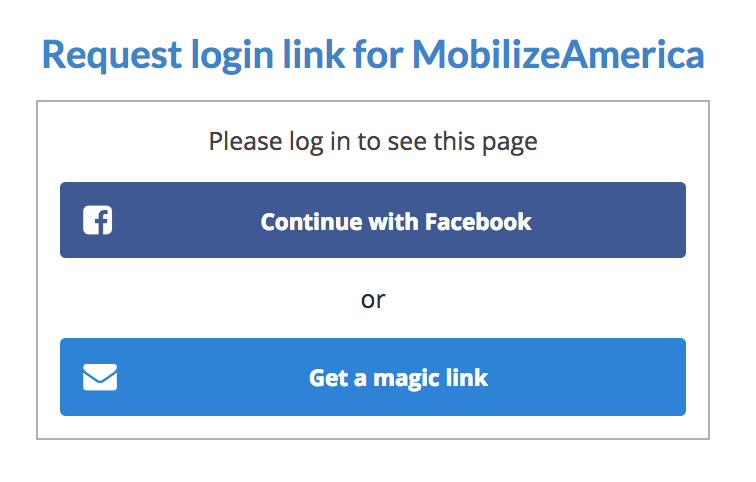 When you navigate to your Dashboard at https://mobilize.us/dashboard/, you should be prompted to enter your email (as pictured below), and you will receive a one time sign in link to your Dashboard. Please be sure to check your spam; the login email frequently gets caught in spam filters. Once you have logged in, you will remain logged in on that browser until you log out.